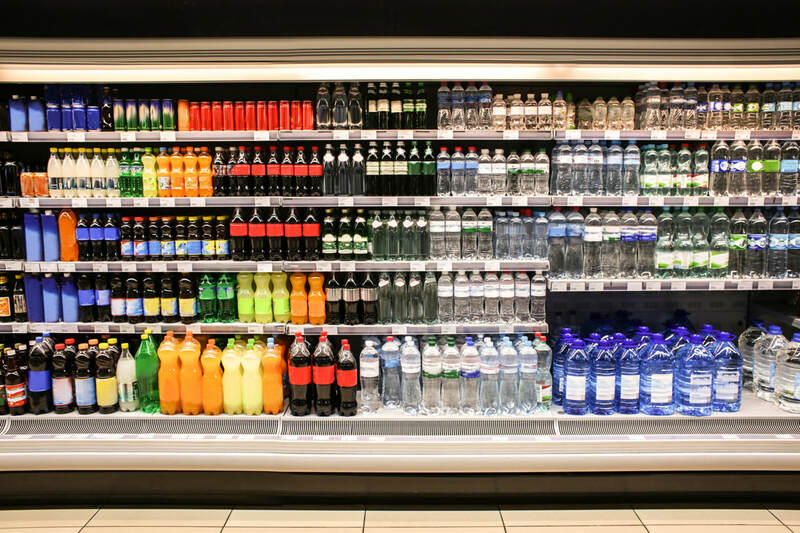 Philadelphia City Council in March took action that will hopefully lead to the repeal or modification of the city’s crippling sugar-sweetened beverage tax. The Council approved a resolution on March 21 to study the economic impact of the 1.5-cent-per-ounce tax on sweetened beverages and hold hearings on the completed study. The prime sponsor, Councilwom- an Maria Quinones-Sanchez, said the study will influence a bill she recently proposed to adjust the tax starting in fiscal year 2020. The bill is not specific as to whether it will simply reduce the tax or phase it out completely, however, it sends a message to Mayor Jim Kenney that “there has to be modifications” to the tax. The Kenney administration wel- comed the study, saying that without the soda tax, the programs it funds will go away. Quinones-San- chez contends the city should find more stable revenues to support the programs funded by the tax. According to a December report from the City Controller’s Office, Philadelphia raised $137 million from the tax between 2017 and the first fiscal quarter of 2019. Kenney’s proposed budget anticipates $76.6 million in revenue from the tax next year. The administration orig- inally projected the tax would raise $91 million annually and expected revenues to decrease over time. Councilman Allan Domb said that the tax was driving people to pur- chase sweetened beverages outside the city and any study of the tax should investigate whether reduc- ing the rate could lead to more sales in Philadelphia. You don’t have to look far to see the hardship created by the tax. Jeff Brown, president and CEO of PFMA member Brown’s Super Stores Inc., announced in January that he would close his Haverford Avenue ShopRite, blaming Phil- adelphia’s tax on soda and other sweetened beverages for a 23 per- cent decline in sales and an annual net loss of more than $1 million. Quinones-Sanchez was not able to provide a cost estimate for the study and doesn’t anticipate it will be completed before the May 21 primary. Pennsylvania retailers should be aware of changes to the design of the state's Electronic Benefit Transfer (EBT) cards. The new card image, approved by the Pennsylvania Department of Human Services, will be a photograph of the PA State Capitol dome, and the cardholder's name and card number will be relocated. The cards will no longer display the word "ACCESS" in yellow lettering atop a green background. Changes to the EBT cards are strictly visual; there will be no technical changes affecting retailer acceptance of the cards. The new cards will be issued starting in mid-April. Retailers should accept the new EBT cards and continue to accept the current ACCESS EBT cards. Those with questions can email the EBT Project Office at RA-ebtinquiries@pa.gov. Chris Hartman, the Director of Fuels, Forecourt, and Advertising for Rutter’s – a member of the Pennsylvania Food Merchants Association -- was recently appointed to the state’s Underground Storage Tank Indemnification Board (USTIB) for the 2019-20 legislative session. USTIB oversees the Underground Storage Tank Indemnification Fund (USTIF), which collects funds from tank owners to pay for long-term cleanups of leaking or abandoned storage tanks. The overall mission of the fund and the board is to provide for a cleaner commonwealth by administering a fiscally responsible program to reimburse eligible participants for reasonable and necessary expenses incurred from releases into the environment. Hartman is the 11th generation of the family business, dating back to 1747 when Rutter’s purchased its farm in York. He started working in Rutter’s stores when he was 13 years old. Hartman has a Master of Business Administration from George Washington University and an undergraduate degree in Accounting and Finance from St. Joseph’s University. He worked for five years in Dallas as a food broker before returning to York to work at the family business in July 2018. Baloga also serves on the board. State legislation approved in 2017 gave PFMA a board seat. Customer prizes. Charitable donations. A surprise performance by country music star Ricky Lee. 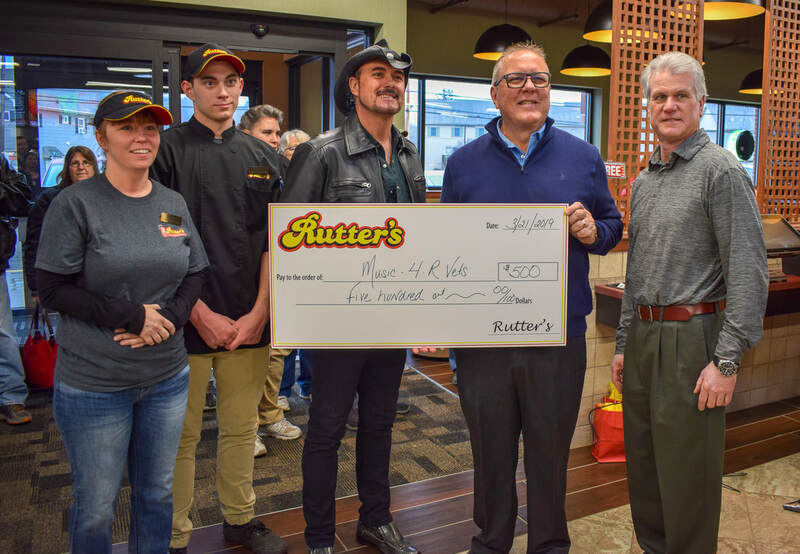 All were included in Rutter’s grand opening celebration March 21 of its 74th store company wide, this one located at 3000 6th Avenue in Altoona. Rutter’s is a member and sponsor of the Pennsylvania Food Merchants Association and Hartman serves on the PFMA Board of Directors. Hartman cut the ribbon on the new store presented four local charities with donation checks. The recipients included: Altoona Police Department benefiting Because We Care Foundation, Altoona Ambulance Authority, Music 4-R Vets and the Altoona Food Bank. Total dollars awarded was $3,500. Customers poured in the 8,223-square-foot store between 1:30 and 3:30 p.m. and enjoyed an after- noon of food sampling, prize drawings and more. 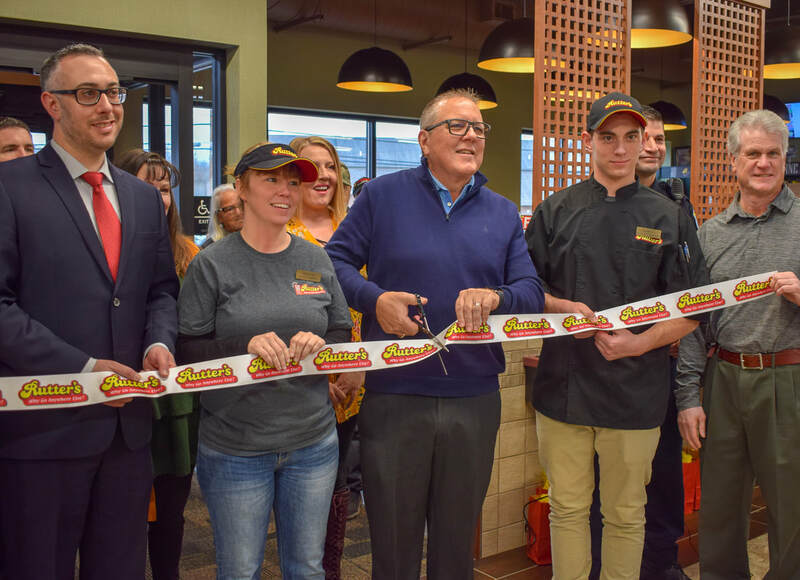 Local dignitaries in attendance included Altoona Mayor Matthew Pacifico, Blair County Commissioner Bruce Erb, Amanda Walker from state Sen. Judy Ward’s office, Loreen Bencie and John Frick from U.S. Sen. Pat Toomey’s office and Katie Buchanan from the office of state Rep. Louis Schmitt. The store is Rutter’s third in the Al- toona market and provides 10 fueling positions and new auto fueling options, including Flex Fuel, unleaded 15 and ethanol-free gasoline, along with standard gasoline choices. The full-service convenience store, open 24/7, has seating for 30 in its quick-service restaurant, dinner specials and a coffee bar with lattes and cappuccinos. It also has Wi-Fi and beverage coolers. The new l cation employs 50 team members. Legislation that would provide a much-needed update to the state's Price Gouging Act advanced today through the Pennsylvania Senate Veterans Affairs & Emergency Preparedness Committee, with only one committee member voting against it. The bipartisan measure Senate Bill 139, sponsored by state Sen. Judy Ward, would address price controls in a state of emergency, benefiting both businesses and consumers. Similar legislation was vetoed by Gov. Tom Wolf last year after receiving overwhelming approval in the General Assembly. Limit the duration of pricing restrictions to 15 days (with extensions up to 60 days), and limit their scope to those goods and services necessary for use or consumption. 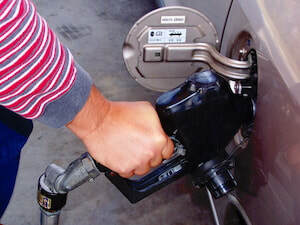 The legislation is supported by many statewide business organizations, including American Car Rental Association, Associated Petroleum Industries of PA, National Federation of Independent Business, Pennsylvania Builders Association, Pennsylvania Chamber of Business and Industry, Pennsylvania Food Merchants Association, Pennsylvania Manufacturers Association, Pennsylvania Restaurant and Lodging Association, and the Pennsylvania Retailers Association. Thank you to state Sen. Mike Regan, chair of Veteran Affairs & Emergency Preparedness committee, and committee members for advancing this important legislation. In 2017, Rahul Rao was walking his dog following a rainstorm when he was stunned to see his neighbors watering their lawns at full blast. To many people, this may have gone unnoticed. But the experience sparked something in Rahul. Having traveled to India and China and knowing the extent of global water inaccessibility, Rahul formed the organization H2O for Everyone, which aims to shine a light on the world’s water crisis through education of American youth. The Pennsylvania Food Merchants Association honored Rahul in March with its annual DECA Scholarship. The senior at Downingtown STEM Academy will receive $1,000 to use toward his continuing studies. Rahul, 17, of Chester Springs, plans to double major in biomedical engineering and economics with a career goal of practicing medicine. He is also an Eagle Scout and Pennsylvania DECA Student of the Year. DECA prepares emerging leaders and entrepreneurs in marketing, finance, hospitality and management in high schools and colleges around the globe. Rahul spends hours each week in the summer speaking at camps and on weekends during the year for youth groups. In addition to running the H2O organization, which he is working on establishing as a nonprofit with 501(c)(3) status, Rahul is also the founder, president, and event services organizer for Rao Event Ser- vices, which offers local functions such as concerts, large fundraisers, and cultural event services including parking and hosting. 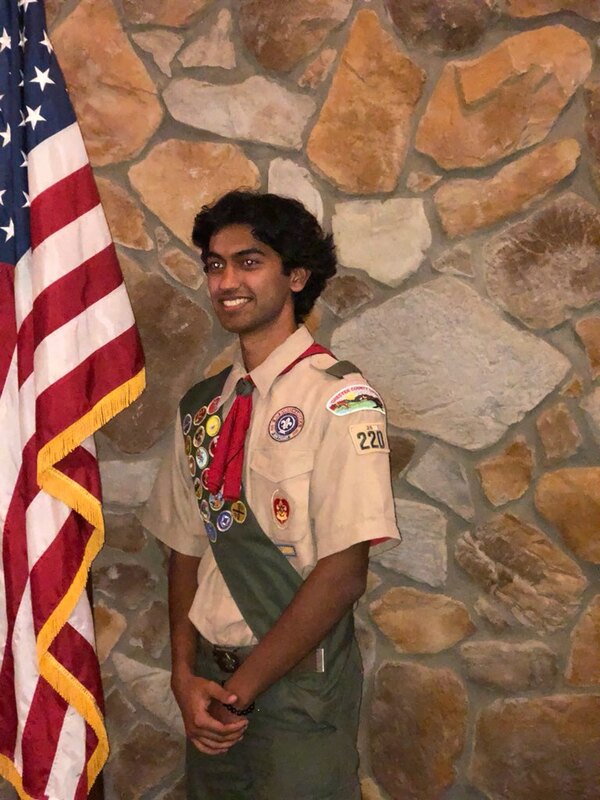 Born in Philadelphia, Rahul joined Pennsylvania DECA as a freshman. Joining a business organization wasn’t something he was immediately interested in, but he grew to realize how much business affects you regardless of your career path. His long-term goal is to be a cardiothoracic surgeon, but he knows that’s a long journey, so for now he is just concentrating on making the most of his opportunities. Pennsylvania Attorney General Josh Shapiro will be the keynote speaker at the Pennsylvania Food Merchants Association's Annual Conference in May. 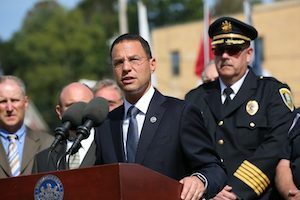 "As Pennsylvania's top law enforcement official, Attorney General Shapiro has fought for protections for seniors, veterans, and businesses as well as implemented measures to safeguard consumers from scams and fraud," PFMA President and CEO Alex Baloga said. "We are delighted and honored to welcome him for our keynote address and believe his message with resonate with conference attendees." PFMA will also present an award to its Board Chairman Jeff Brown, CEO of Brown's Super Stores, Inc., during dinner on the first day of the conference, which is scheduled for May 28-29 at the Pennsylvania Convention Center in Philadelphia. The award honors Browns' career long service to the food industry and advocacy efforts on behalf of food retailers. In his role, Brown oversees operations at 10 ShopRite stores and two Fresh Grocer stores. "Jeff's tireless advocacy has helped bring about legislative and policy change in Philadelphia and statewide," Baloga said. "Among other efforts, he has led the charge against the city's onerous sugar-sweetened beverage tax enacted in 2017 that has crippled businesses in the city of Philadelphia and led to the closure of one of his own stores in West Philadelphia. 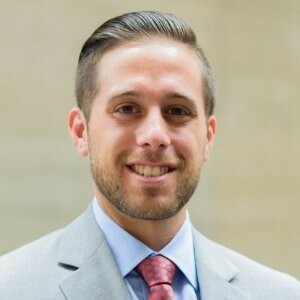 In addition to his legislative work, Jeff volunteers with the Philadelphia Youth Network, the State of Pennsylvania Workforce Development Board, the Governor’s Advisory Board of Workforce and Education Innovation, and he serves as an officer on the Wakefern Corporation’s Board of Directors. Supplemental Nutrition Assistance Program (SNAP) recipients will receive their March benefits from March 1 through March 14 in accordance with the regular distribution schedule, the Department of Human Services confirmed today. The recent federal government shutdown led to February SNAP benefits being distributed in mid-January, impacting both clients and food merchants across the state. Benefits will be distributed based on the recipient's county of residence. Read the letter to PFMA from DHS's Office of Income Maintenance here. 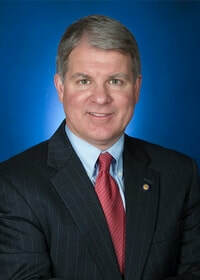 Pennsylvania Senators David Argall and Pat Stefano have introduced legislation that would establish a uniform, statewide time period for the distribution of Supplemental Nutrition Assistance Program (SNAP) benefits. Senate Bill 285 was re-introduced following concerns raised during a meeting of the Senate Majority Policy Committee in 2016. Currently, Pennsylvania distributes SNAP benefits on a county-by-county basis, as opposed to other states which have set time frames for disbursements. There are three different schedules counties follow, depending on the number of recipients of SNAP benefits in that particular county, according to a co-sponsorship memo. Several rural counties distribute SNAP benefits over one day each month; several rural and some larger counties distribute over a two-day period each month; while a third of the state, mostly larger counties, distribute benefits over a 10-day period. Retailers that testified at the Policy Committee hearing argued that spacing out the distribution of SNAP benefits over the course of a month will allow their stores to be properly stocked and staffed. They advocate spreading out payments over a fixed period to help provide consistent product availability and effectively meet the needs of customers who receive and use SNAP benefits. PFMA supports this legislation that would create a uniform time frame of when SNAP benefits would be distributed by the state over a 25-day period. The department will establish the guidelines necessary to meet the requirements of the legislation and will have six months to comply. 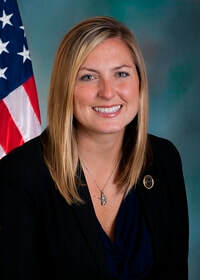 A companion House bill, HB299, was recently introduced by state Rep. Tarah Toohil.